With the facial features of a lioness but the stripes of a tiger, these adorable cubs are a rarity in the feline world. 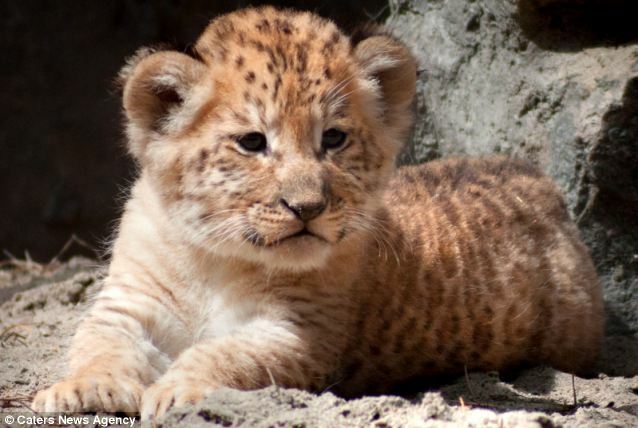 The three little cubs may look cute now, but they will grow to be the largest known species of big cat in the world - the liger. 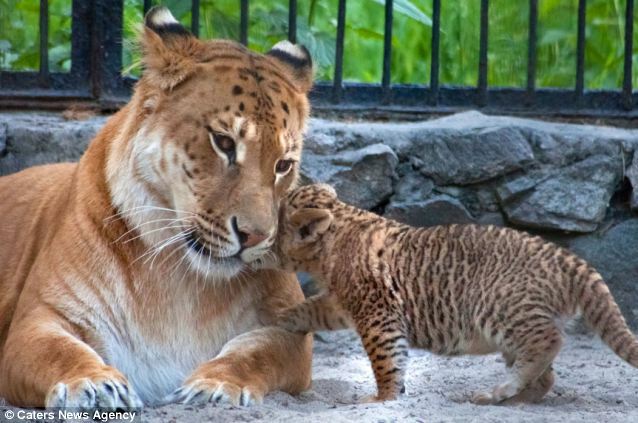 The three rare ligers cubs, which can grow up to 3.5 metres in length, have been keeping their liger mother Zita and lion father Sam on their toes at the Novosibirsk Zoo in southern Russia. The female cubs were all born a month ago but have just taken their first steps outside. The tiny trio are all on a diet of their mother's milk at the moment but will tuck in to up to 100lb of meat in one sitting when they are fully grown. A keeper at the zoo said: 'All three of the girls have completely different characters. 'One is always near their mother's side, one enjoys exploring and one is always misbehaving and play fighting. 'Visitors coming to the zoo have been desperate to get a glimpse of the newborns as they are so rare. The animals have faint tiger stripes on a lionesque tawny background. 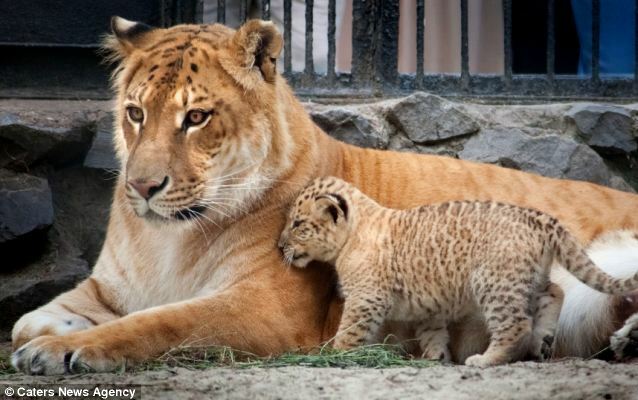 Male ligers can grow to up to 3.5 metres in length. The first known liger dates back to 19th century India.